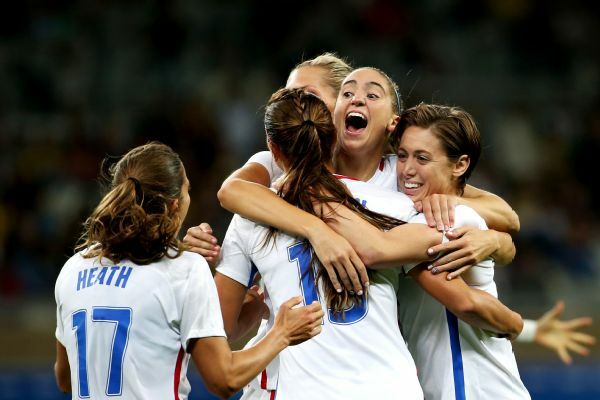 BELO HORIZONTE, Brazil -- The final score might not have been historic, but it was sufficiently satisfying for a team trying to take the first step toward a historic gold medal in women's soccer. 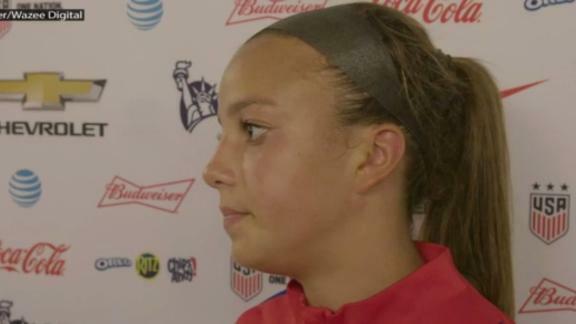 The Americans beat New Zealand 2-0 on Wednesday. 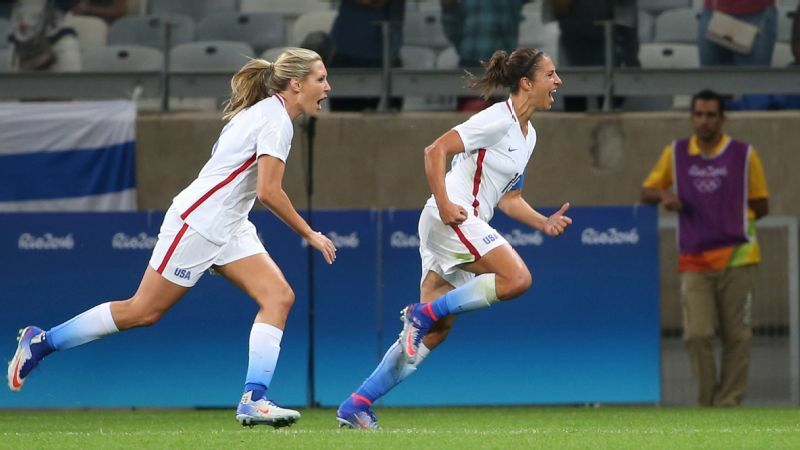 Carli Lloyd scored the opening goal in the ninth minute, while Alex Morgan added the second in the opening minute of the second half. There were uneven moments and lulls that left a crowd to figure out the minimum attendance required to successfully pull off the wave (when it wasn't booing U.S. goalkeeper Hope Solo with increasing delight every time she touched the ball). But in its sixth Olympics, the United States opened with a win for the fifth time. A header in the ninth minute from Carli Lloyd, right, put the United States up early over New Zealand -- and again makes it easy to forget the U.S. star is 34 years old. The United States remains in Belo Horizonte to play France on Saturday, a matchup of medal favorites and two of the top three teams in the world. More to come, but here are three observations from the Group G opener. Well, mostly answered. Some deft juggling at halftime marked Megan Rapinoe's only appearance on the field once the game began. U.S. coach Jill Ellis elected not to give the veteran her first minutes since suffering a torn ACL in Hawaii in December. But it didn't take long to get a feel for the status of Morgan Brian and Tobin Heath, the other two health concerns entering the tournament. Both were in the starting lineup for the first time since June. And both, as Ellis suggested beforehand, looked ready for duty. That was particularly true of Heath, so easily overlooked but such a dynamic presence in wide spaces and on set-piece deliveries. She set up Lloyd's opening goal and created several other chances. Squad rotation will be a common phrase here, but Heath looked indispensable enough to likely squeeze minutes from Crystal Dunn, Mallory Pugh or both. Allie Long started for the United States in the middle with Morgan Brian, which kept Lindsey Horan on the bench at kickoff. There is a difference between a problem and a question. And after one game, the composition of the midfield behind Lloyd remains squarely in the camp of the latter. But there are questions as to how things best fit together after Ellis elected to pair Morgan Brian and Allie Long in the starting lineup for just the third time. That arrangement pushes up Brian to the No. 8 role, while Long fills the No. 6 role that Brian played through much of the World Cup (although rarely ever before that). And the arrangement pushes Lindsey Horan to the bench. Brian was able to slip in the ball that Morgan converted for the second goal, although Brian wasn't always a noticeable presence as the U.S. women went wide. Given that Ellis probably never intended to play Brian 90 minutes in her first start back, it made for an easy swap when Horan came on midway through the second half. And with the condensed schedule of this tournament, all three are going to play. Still, it leaves open the question of what happens against France? Ellis was pleased with the way her team played when those teams met earlier this year, and that was with Brian and Horan paired together to deny French possession. 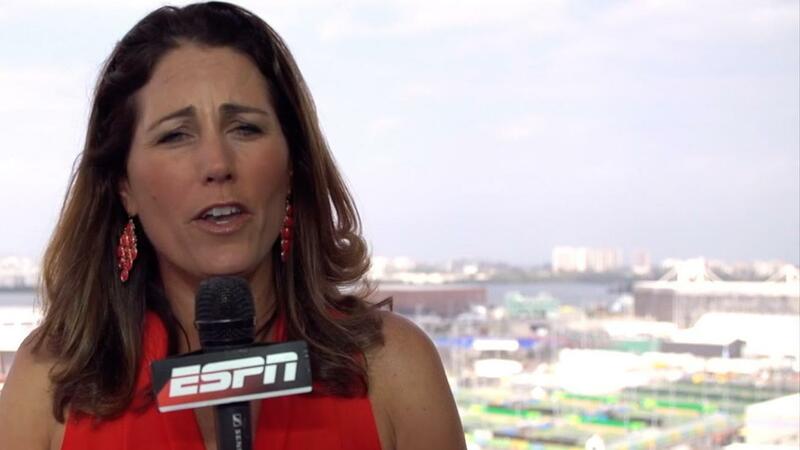 Lloyd is effectively the same age in this tournament as Abby Wambach was when the World Cup began a year ago. That was a farewell tour, a role and minutes that had to be delicately managed. Lloyd at 34? Just put her out there for 90 minutes and let her score. She might have more memorable highlights than a looping header to the opposite post, but she put the ball in the net for the fifth game in a row at a major tournament.